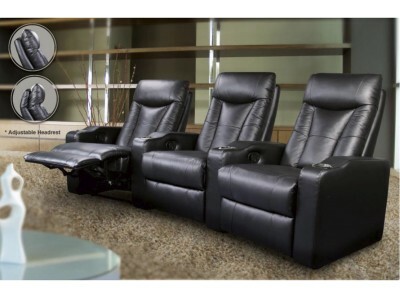 Wow your senses with the one-touch power controls and LED lights in the cup holders and base for a f.. 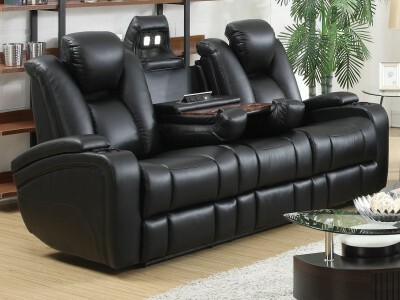 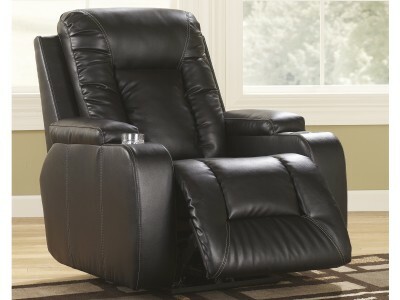 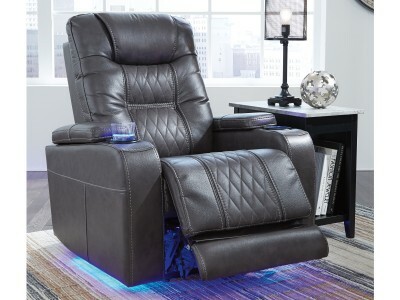 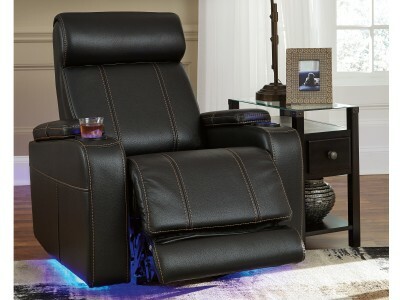 The Mercurial power recliner is a delightful departure from the mundane with its sleek, unique ..
Miley Home Theater Seats Black (Price is for 1 Recliner) This contemporary styled recl..
Movie nights will be forever changed with the Composer power recliner. 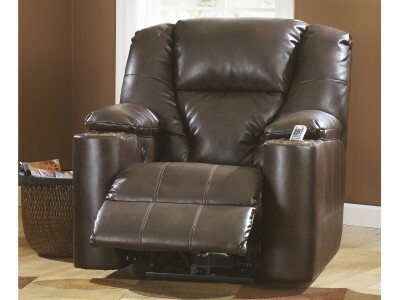 The adjustable Easy View™ hea..
What do you get when you combine modern lines with ample cushioning? 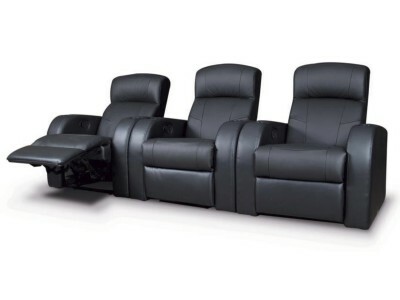 The movie recliner. 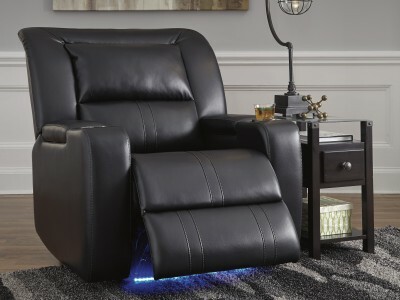 Built-in cu..
Built-in gadgets include power headrests, hidden LED lights, drop down backrest with cup holders, an..
Supple and soothing, the signature DuraBlend® upholstery is a smart, budget-wise alternative t..